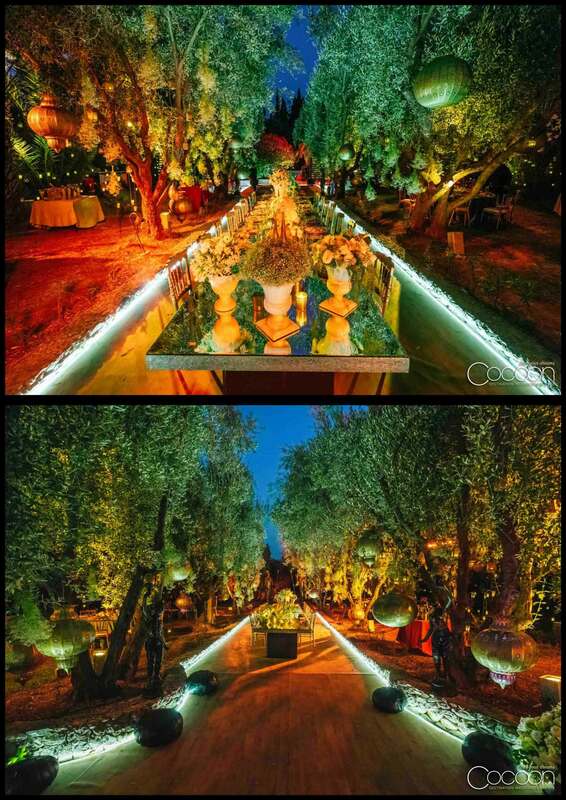 A wedding in Marrakech was not always the plan – when Sera and Omar discussed a location for their wedding there was no obvious choice. Their family and friends were scattered across several continents and nothing felt quite right. In frustration, they turned to a map, searching for a destination that would inspire them. Their quest led them to Morocco. While neither had ever been, they had both always wanted to visit and felt inexplicably drawn to the country, sensing that it was the perfect place for their events. 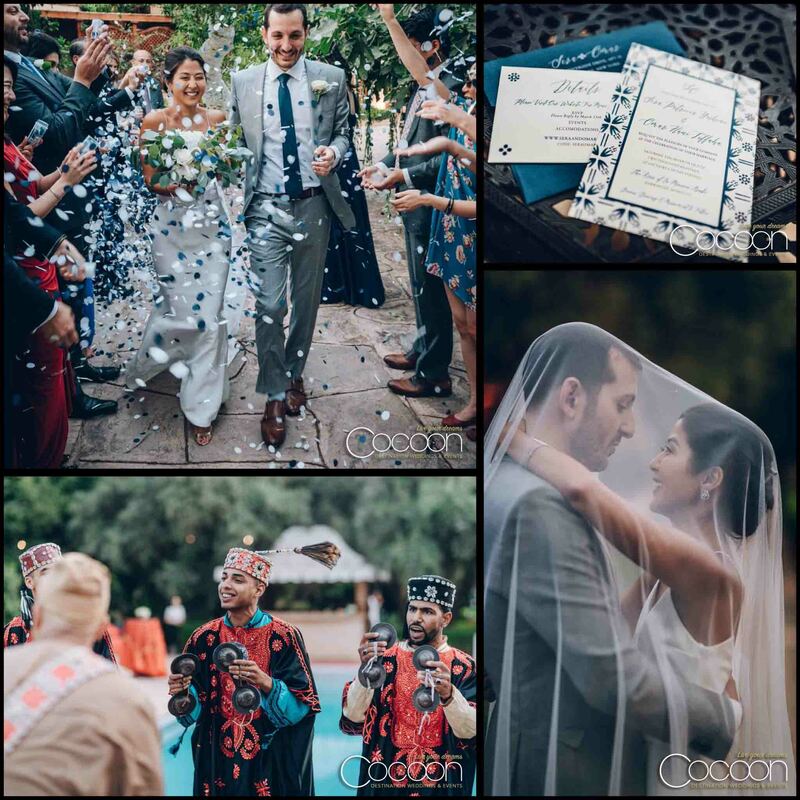 They confirmed these instincts during their first memorable visit and immediately began to formulate plans for their Destination Wedding in Marrakech. 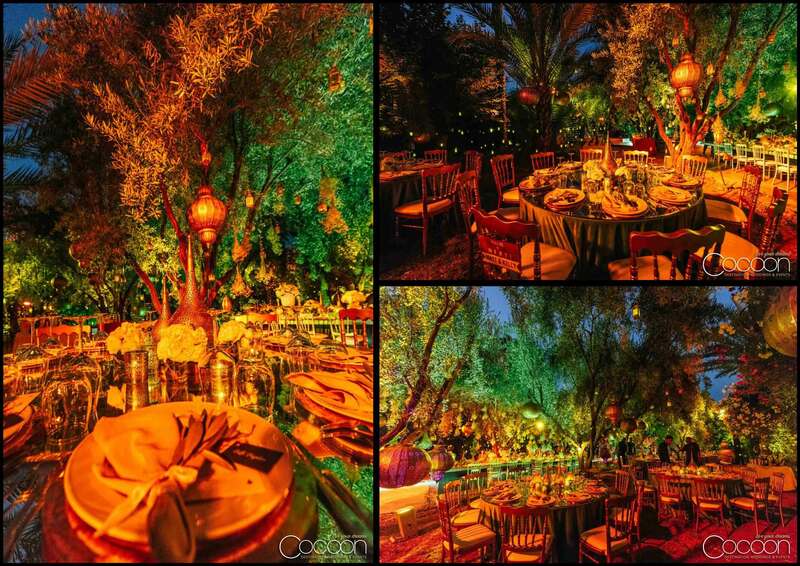 Sera and Omar’s wedding was a fusion of details from home and elements drawn from the local culture. Their handmade guest welcome totes included hand-poured candles from home and goodies from the Souk. Omar’s best friend Colin officiated the wedding, which they wrote together incorporating poems that held special meaning to the couple. They included contemporary and traditional music in their ceremony, as well as personalized rituals like a ring warming which featured pouches made from Sera’s grandmother’s kimono fabric. 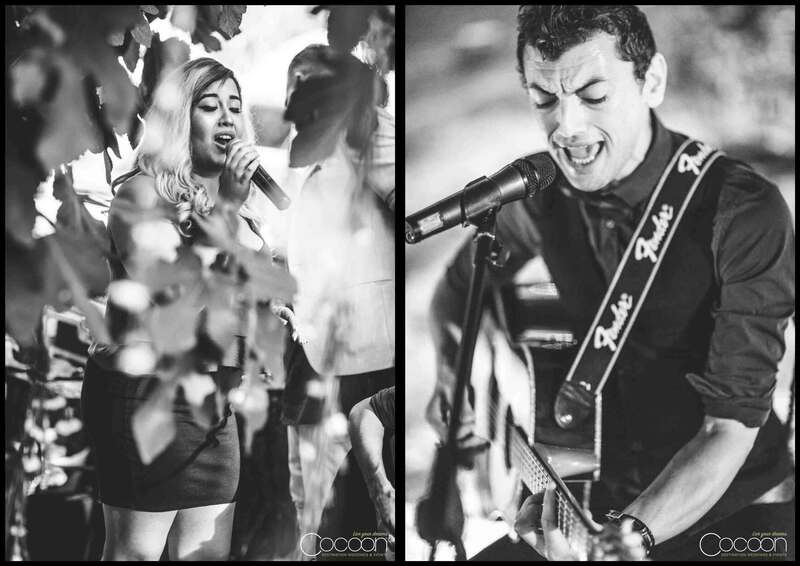 The couple encouraged family and friends to take full advantage of their time in Morocco. A variety of activities were planned for guests who arrived early including a day trip to Essaouria, Sera’s bachelorette celebration at La Pausa, and the couple’s welcome cocktail reception at Lotus Privilege. 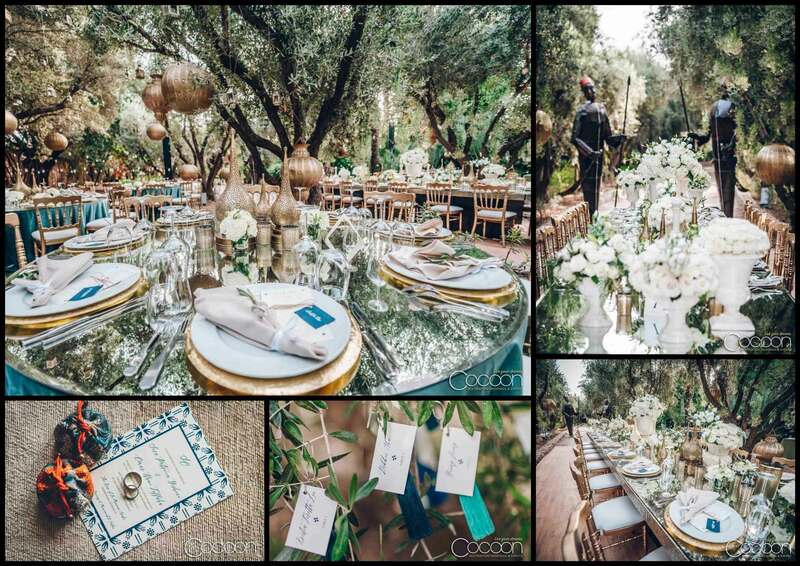 Sera and Omar remember their wedding day as “magical.” When they considered the many wedding venues in Marrakech has to offer, they were drawn to La Maison Arab by its natural beauty including the olive trees, which symbolize strong roots in Palestine, the singing birds, and the flowers in full bloom. The setting encompassed tranquility.